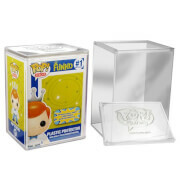 These Funko items are damaged (well the box is) - if you want to order this you will get anything! There is a risk you will get the same one multiple times if you order a few, you could already own it and you might even hate it. You can get a mixture of Pop! Vinyls, Dorbz, Hikari, Rock Candy as well as chases, exclusive Pops, vaulted Pops, Pop! Rides, Supersized Pops and more! Even better, you can also get Mopeez, Fabrikations & Vinyl Idolz! Be aware that you could receive the same item multiple times if you order more than one 4 pack. 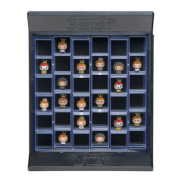 You could literally get anything from the Funko range! Please note: Packs in the images are examples of what you can possibly receive, there is no guarantee you will get any of the items shown.